The watchdog for university access has given the green light to universities to increase tuition fees in England to £9,250. Almost all universities have been approved to charge the higher fees from 2017-18 as the new upper limit. But more than 30 have this as a minimum – raising the prospect the increase will also be applied to current students or those starting this year. Exeter has already announced it is raising fees for continuing students. Liberal Democrat education spokesman John Pugh said students were being treated as “cash cows” and the access watchdog was “utterly toothless”. “Time and again, the universities, backed by government, ask for more,” said Mr Pugh. The admissions process for university entry for autumn 2017 has opened to applicants on Tuesday. The Office for Fair Access (Offa) has published the agreements that show how much universities will be able charge these students in 2017-18 and how much universities will contribute to support disadvantaged students. Universities will spend £834m on schemes to widen access to higher education, an increase of 10% on 2016-17. This will include £171m on outreach projects such as summer schools and events to encourage applications and £408m on bursaries and fee waivers. Oxford University, which last week reported the highest level of state school students for decades, will spend more than £13m on outreach and scholarships. But the Offa agreements also show that the extra spending will come alongside higher tuition fees. The government wants to allow universities to increase fees to £9,250 if they can show they have high-quality teaching. This will depend on Parliament approving the removal of the maximum limit of £9,000 – which both Labour and the Liberal Democrats are committed to opposing. 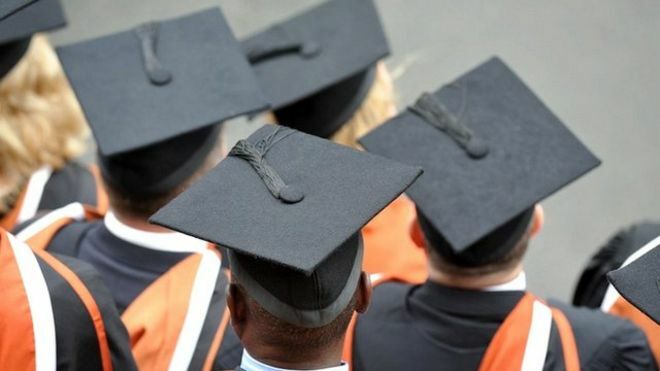 The Liberal Democrats have said they will timetable an amendment to the Higher Education and Research Bill that would outlaw increases for students who have already begun courses, saying such attempts were “outrageous”. The agreements published by Offa show that almost every university has been given permission to set a new maximum of £9,250 from 2017, assuming that MPs support raising the current cap. But a further group of 36 universities and colleges have been given approval for fees of £9,250 as a minimum, rather than a maximum. This raises the more controversial prospect of all students paying the higher fees and not only those who are starting from 2017. Offa says that these universities with a minimum of £9,250 will be able to apply the increase to current students. Exeter has already told its existing students that it will increase fees to £9,250 from 2017, and Surrey intends to apply the increase to those students starting this autumn. The Offa agreements show Sussex, Derby, Royal Holloway and Southampton among those that have set a £9,250 minimum. The London School of Economics also has a £9,250 minimum, but says that this will not apply to current students. Nottingham has ruled out an increase for current students and has set its minimum fee at the current £9,000. Les Ebdon, director of Offa, said: “There are already more young people from disadvantaged backgrounds entering higher education than ever before, which shows the impact that previous access agreements have had.